GBwhatsapp App, have you ever think about hiding status, blue ticks and other hacks in the WhatsApp? If yes, then you can think about the GBWhatsApp for Android-based phones. It is a moded app based on original WhatsApp and in this article, we will try to give all answer related to this Android app. The GBWhatsApp Android APK is the clone of original WhatsApp but with some modifications and extra added features. It works same as your standard WhatsApp but because of modifications it is not available on Google Play store and needs to download from its official website in the form of APK file. After downloading it from its official website official-plus.com. You need to install it manually by enabling the Unkown source installation. For more information see: How To setup and Install GB Whatsapp. The procedure of installation is also the same for other same types of apps like OGWhatsApp and WhatsApp Plus. The GBWhatsApp is based on original WhatsApp and using the same server. The developer of GBWhatsApp has moded the stylesheet information of the WhatsApp APK which is not encrypted but the codes are encrypted. The customization and some other are features are added by the developer on the top layer of the original WhatsApp but to send and receive messages GbWhastApp still uses the original server as I said. However, the GBWhastApp not going to create any problem on your phone but still for official purposes, commercial or sensitive data users should use only original WhatsApp. We don’t recommend the GBWhatsApp. 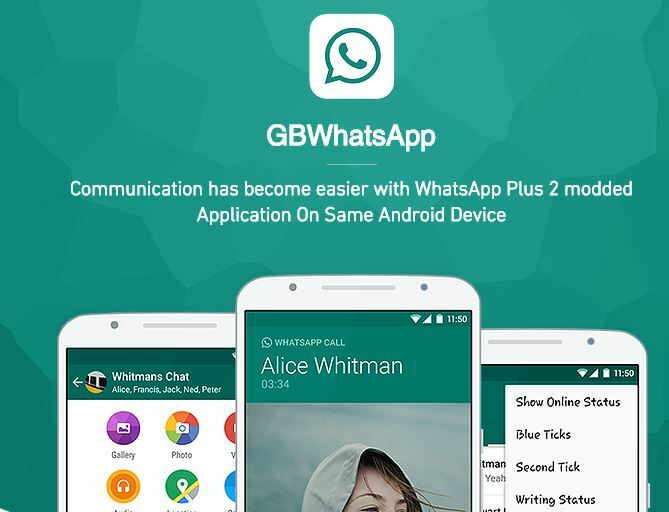 What are the features of GB WhatsApp App for Android phone? Hide Online Status to show to everyone offline while chatting. Gives the ability to send videos up to 50 MB. Which is better GB WhatsApp Vs WhatsApp (Original)? Both GBWhatsApp and WhatsApp are almost the same in terms of interface, installation, sending and receiving messages. The only difference between them is the additional hacks and features provided by the GB WhatsApp. If you are a user who need to deal with sensitive data for business, Government officials, and other purposes should not use the Gb WhatsApp. Note: To Install the GbWhatsApp you need to follow installation steps manually and it is not as easy as original WhatsApp that means if not have any technical knowledge then please refrain yourself from using the GB WhatsApp app. How do you convert the GB WhatsApp chat to the original WhatsApp with media and chats? Copy Database and Media folder to your original WhatsApp folder which is you find in the file manager. After copying, now go to the original WhatsApp and register it with your phone number using in GBWhatsApp. When you register the original WhatsApp it will ask to restore the previous chat and media, tap on it and you will get all your media files including chats. As I am already told you the GBWhatsApp is not available on Google Play store, so you need the download it in the form of APK file from the official-plus.com. No, both the GbWhatsApp and original WhatsApp using the same authentic official server and your all chats are encrypted. So, it does not allow the third person to hack your encrypted chats. How can I see hidden “last seen” from GB WhatsApp Android app? If somebody has hidden his/her last seen status for everybody then even the GBWhatsApp can’ t help you. However, you can hide yours but still can view others (If not hidden) status, blue tick, last seen and more. There is some other solution to this question in GBWhatsapp; you can enable an option which is to get a notification when someone comes online. This means when the person whom you want to track comes online you will get a notification. What is the anti-revoke feature in GB WhatsApp privacy? The anti-revoke feature of GBWhatsapp gives you an ability that when somebody sends you a message, he/she can’t delete it using the “Delete it for everyone” feature of Whatsapp. Although, the copy of the message from his/her ends get deleted but not from your GbWhatsapp. GBWhatsApp is available for iPhone? What is the different between OGWhatsApp, GBWhatsApp and WhatsApp Plus? No, there is no difference between all these moded applications they all are same. Can both official WhatsApp and GB WhatsApp use on the same Android smartphone? Yes, you can use both the WhatsApp. How to freeze my last seen on GBWhatsApp? To freeze the last seen, just go to the privacy option of OGWhatsApp and select the option Hide online status but be sure that form the main settings option, your last seen should be shown to everyone. 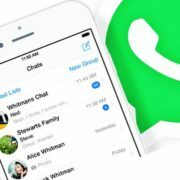 How to Disable WhatsApp calls on GBWhatsApp? Block Calls without Showing Ringing to Opp Person. Select the one you want to do. If you have any other questions regarding the GBWhatsApp, OGWhatsApp or WhatsApp plus please free to ask, the comment box is all yours. I tried to hide some contacts and then they were not able to see my display pic and last seen. I have checked all my settings. I have removed them from hide to and still they are not able to see my display pic and last seen nor my story. I even uninstalled and reinstalled GBWhatsapp and they were able to see it. But again they are not able to see it. No, you can see your contacts last seen… For that first, from the WhatsApp privacy settings option enable the last seen of yours to see others last seen. And after that go to GbWhatsapp privacy settings and freeze your last scene. Note: WhatsApp and Gbwhatsapp privacy settings are different and available on the same GBwhatsapp. is there any option in GB WhatsApp by which you can clear ad chat at the same time control whether the Chatterjee group chat on contact only or both ? No, the GBwhatsapp doesn’t feature anything like that you mentioned in the comment. And if i hide my online status for my contacts then my gbwhatsapp is not showing last seen of my contacts while my original privacy of last seen enabled for everyone. I was using whatsp+ n gb whatsap both. I have done backup and deactivate my gbwhatsap account, when i go to register again it has restored the chat of whatsapp plus instaed of gbwhatsapp that i have backed up. Pls help into the case.. I freezed my last seen and not able to see others last seen…although I kept normal watsapp last seen visible to my contacts… what should I do now? I have the same problem….nothing ca be done to fix this??? is this issue fixed? I am seeing the same error. In GB whatsapp i couldn’t change group settings. I want to restrict group to be message sent only by admins. Its always showing Couldn’t change this settings try again. Can you explain as how it is being call out at buggy. Yes, If you are a user of GbWhatsapp then create a Group and go to the Group setting. And whenever you tried to bound that group only to admins, I mean only admin can send a message, the App pop-ups a message Couldn’t change this setting. Please try again. So, this is a failure of this app’s feature which in a computer language can be called a bug of the software or program. My app required me to update then instead of updating it downloaded a new whatsapp.now it cant restore my files and data.I want to go back to the old gb app but it keeps on initializing and writes UNABLE TO CONNECT TRY AGAIN LATER. What must i do because i dont want to lose my data and old chats. First, go to your file manager and under the GBwhatsapp folder copy all database and other files plus media folders. Now delete the GBwhatsapp and again download the latest version from their official website. While installing it again it will recover or restore your all previous chats and media files. In case it not, then you can install the original WhatsApp and copy paste the GBwhatsapp database folder files in the database folder of the original WhatsApp via File manager. Please see this link where we have given how to restore chats from Whatsapp to GBwhatsapp and reversing the same processes can perform restore chats from Gbwhatsapp to WhatsApp. G WhatsApp private or not? Hello, I am unable to see my contacts’ online status (whether they are online or not), and Last seen since I started using gbwhatsapp. Can you bit explain what exactly you want? Contact last seen or your last seen to contacts. The GBWhatsapp is completely safe and we didn’t get any news of data theft or privacy breaching till now because the core of GBwhatsApp using the same original WhatsApp encrypted server. However, we recommend you, try to stick with original WhatsApp for continuous updates. I cannot view anyone’s last seen. In the original whatsapp is the option to have group video call! Gb does not have it? Please delete and reinstall it. Maybe it solves the problem. Otherwise, it will not be supporting your phone’s configuration. Afterall it is not an official app; it customized. Just wondering why I can’t see that some people have read my messages? I know they don’t have WhatsAppGB either. Any help? Because in regular WhatsApp there is a feature that allows people to disable the read receipt or blue tick. iam using gbwhatsapp for quite long time say around two plus years and i never faced any problem using both whatsapp and gbwhatsapp on same phone. but off late since two months gbwhatsapp is hanging and iam getting an message that” whatsapp is not responding” do you like to wait or close. There must also be a feature of online notification. How can i hide ringing status in whatsapp call? I think you want to disable the voice calls on the GBwhatsapp. For that just tap on the three dots given on the right top side and then select the option GBsettings. In that go to the Other Mods option and select Disable Voice calls option. Here you will get three options Enable All calls, Block Calls with showing ringing to App person and Block calls without showing ringing to opp person. Select the one you would like to set for the other person. GBWhatsApp doesn’t send scheduled messages until I open the app. You have to disable other options if they are active such as Anti-Revoke, Show online status or others because sometimes due to them the GBwhatsapp wouldn’t be able to connect to the internet in the background, thus delay in messages and other abnormal activities. Also, check you have up to date version or not. I used GBWhatsapp, then i used Whatsweb in my PC to send or receive any document. If GBWhatsapp and Whatsweb connected, i can’t received any message on my PC or my Phone. I can’t also send message. Please does you file manager has more than one folder named as GBwhatsapp if yes then again delete all the gbwhatsapp and all the folders named as Gbwhatsapp. Then again install the Gbwhatsapp but don’t set it up yet, now there will be only one folder of gbwhatsapp and please copy all your backup database including other files in this folder. And then set the Gbwhatsapp up. Note: Make sure you have the back up of chats and other folders present in GBwhatsapp before performing the above steps. I have never used gbwhatsapp and I often use InsTube to download videos from whatsapp. Will try what you said later, thank you. No, you can’t identify who is using the Gbwhatsapp or whatsapp. Yes, if you are online and another person online is not showing or while chatting his or her time showing some past figure, during chat online single tick appears on your’s sent messages then you could assume that another person might be using the GBwhatsapp. How to fix our last seen to a particular time or How can we set a different last seen,even if we are online. Is Video call on GB whatsapp Encrypted just like orignal whatsapp..
Are video calls between Gb whatsapp and Normal whatsapp End to emd encrypted? Can The developer Record Our video call? Yes, it is completely encrypted because the servers and core of the WhatsApp did not change by the GBWhatsAPP developer. Can developer of gb whatsapp record our voice and video call with other user? No, that not seems to be possible but still if you worry about your privacy or dealing with some high secret or sensitive chats or data over Whatsapp then it is recommended to use the original WhatsApp only because of update and security reasons. Pls why don’t I see others status update on my GB WhatsApp when others can see mine? Why don’t I see others status update on my gb whatsapp when the can see mine? GBWhatsApp doesn’t send scheduled messages. Yes, there some glitches in the app, after all it is not an official app. I enable anti revoke feature but some contacts are delete messages than it not shown in my GB whatsapp , why ? It message not revoke in my GB whatsapp why ? Kishan, see if there are any updates available for GBwhatsapp. It happens because it is modded app and always come out with some glitches. On some phones, sometimes all features don’t work perfectly. When we allow gb whatsapp to access our media or storage are they able to see our pictures gallery????? Or when we are sending any picture are they storing our pictures or are they able to see the sended or downloaded pictures???? No, it goes through the WhatsApp servers, not Gbwhatsapp’s. But still, if you worry about any sensitive data then use the original WhatsApp on some parallel kind of apps. How to move the gbwa chat to new phone? Without losing any message or photo. Firs, Move all complete folder of GBwhatsapp present in your old to a new phone and then install the GBwhatsapp. While installing it will ask to restore the backup, restore it that’s it. I have 3 folders, 1.GBWhatsApp,2.GBWhatsApp old,3.GBWhatsApp old (1). Which one should i move to the new phone? You have to move the current one which is GBwhatsapp other two are old ones. This GB Whatsapp application is beautiful, but the worst thing about it is a lot of ads that cover the whole screen whenever I enter the application, what’s the solution? No, GBwhatsapp doesn’t show any ads on the main screen. It must be some bug or malware app that has been downloaded with some other app on your phone. Either update your GBwhatsapp, if it is already on latest version then simple first show all settings like a blue tick and double tick. And after that try to send a message. Once you assure that your messages are delivering in a proper way than one by one start hiding the features. This will let you know which setting causes the problem and refrain your self from using that one. Recommend: Not to hide blue tick because in most of the cases it causes the delay of messages. Hii, Sir I have fully enjoying GB Whatapp. But I have some confusion about the present situation that there is a saying that all the third parties app of Whatapp like GB Whatapp, FM Whatapp, Whatapp+ etc. are going to band until the original Whatapp is in use. Now Sir what I want to asked is that will GB Whatapp also be band in that process or is there any other option? Hii, Sir I have fully enjoying GB Whatsapp. But I have some confusion about the present situation that there is a saying that all the third parties app of Whatsapp like GB Whatsapp, FM Whatsapp, Whatsapp+ etc. are going to band until the original Whatsapp is in use. Now Sir what I want to asked is that will GB Whatsapp also be band in that process or is there any other option? No, there is no such kind of reports that the third party moded apps are going to ban but one should use them carefully and on own risk only. After all, these are not Whatsapp approved and also sometimes suffered a lot from frequent updates. Use them only for fun and learning purposes. To send highly sensitive data one should use the original WhatsApp only. Sir when i open my all contact in gbwhatsapp and click on it to chat with someone….it doesn’t open that chat screen why sir?? To get contacts and to chat them on the latest version of GBwhatsapp rather tapping on the + icon given at right bottom click on the top right side text icon. Comment Text*please i tampered with my gbwhatapp setrings,i no longer see dates and time,also i dont get to see figure.when typing a figure,for instance i type’200′,i see it,but after sending it.it wont show on my conversation screen.same also with punctuation marks. How do I move GBWhatsApp from one phone to another with all my messages and media? What you have to do copy the Gbwhatsapp folder from your old phone to a new one. After copying install Gbwhatsapp on the new phone. While installing the GBwhatsapp will prompt to backup your old chats. And you get everything as it was on your old phone GBwhatsapp. Hi, the I just downloaded the latest version of GB WhatsApp (6.85) and it keeps on showing the message count of hidden chats on the main screen header even after you hide them, this totally distorts the purpose of hidden chats. Is there a fix? Hi, I just updated to the latest GB WhatsApp (6.85) and now the hidden chat counts appear on the main chat screen which is very disorienting and nullifies the entire purpose of hidden chats since you just see the numbers but no chats, even after enabling the hide function in the “Hidden Chats Menu”. Is there by any chance a fix for this? Get back to the old version or wait for the new one, as it is not an official app and created by some developers independently. So, we have to depend only on them to fix any bug. how can I know if my friend is using gbwhatsapp. You, can’t know that unless until you don’t have his/her phone in your hand. And I didn’t get a backup from it. 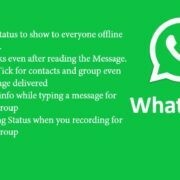 I am using GBwhatsapp version 6.85, Normal what’s app have a feature “Reply Privatly” for the group messages. But how can I rply privately in GBwhatsapp i don’t have a option called rply privately in the chat screen when I selecting the Message.Normal what’s app have a “3 dotted” icon for the rply privately option.